The Beatrice Diener Ensemble -in-Residence at Stern College for Women, The Momenta Quartet, will perform at the Center for Jewish History on Tuesday, April 3, 2012, at 7:30 p.m. The program will feature guest artists Blair McMillen (piano), Christopher Grymes (clarinet) and Sooyun Kim (flute), as well as the world premiere of David Glaser’s Polaris for clarinet, piano and string quartet. The Beatrice Diener Ensemble-in-Residence will perform at the Center for Jewish History on April 3. The concert will also present two classic pieces in chamber transcriptions, Copland’s energetic, rhythmically propulsive Sextet (1937) and Arnold Schoenberg’s septet version of Johann Strauss Jr.’s lyrical Emperor Waltz (1889/1925). The Ensemble-in-Residence program at YU is part of a continuing series of annual concerts that focuses on the contributions made by Jewish composers to modern and contemporary concert music. 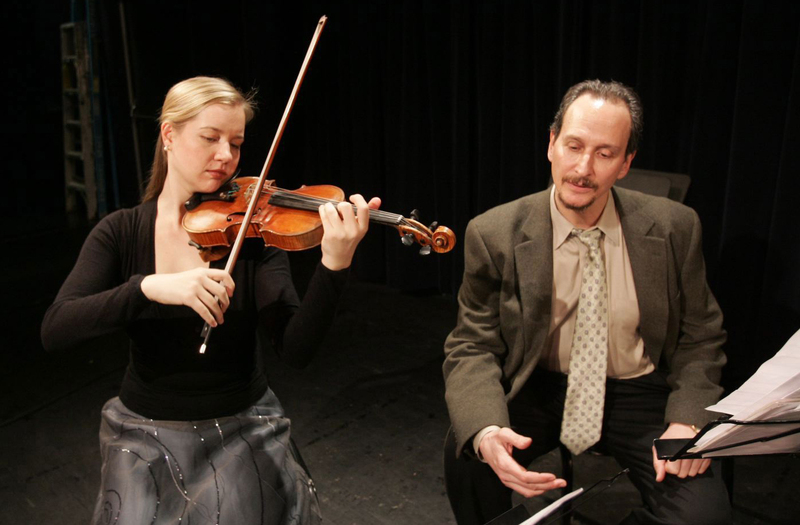 The program provides an invaluable experience for students to help them grow as performers and composers by interacting directly with professional artists. The concert is free for all students, faculty and staff of YU and will take place at the Center for Jewish History at 15 West 16th Street, New York City.